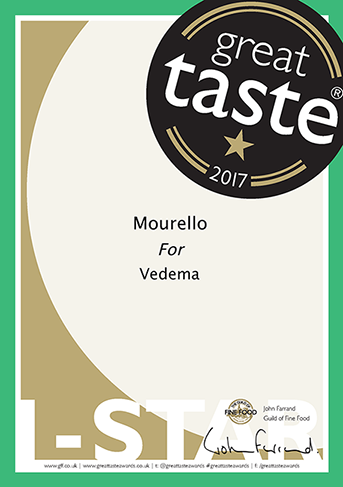 We are very pleased to announce that our Vedema premium extra virgin olive oil is awarded with 1-star (Simply Delicious) Award at the 2017 Great Taste Awards. It was our maiden participation at Great Taste, described as the ‘Oscars’ of the food world and the ‘epicurean equivalent of the Booker prize’. Quite simply the Great Taste logo is the sign you can trust when buying food and drink in your local, quality retailer. This distinction is a challenge to offer even higher quality products that highlight the unique characteristics of the raw materials of Cretan land.